This 2,000 sq. ft. residence is built on a concrete pedestal foundation 22 ft. X 22 ft. located on the steepest part of an 11,000 sq. ft. site; by building on this tiny pad, the balance of the flat site was preserved for gardens and outdoor space for the children of this growing family. The house was designed to be expandable; none of the exterior wall are load bearing. 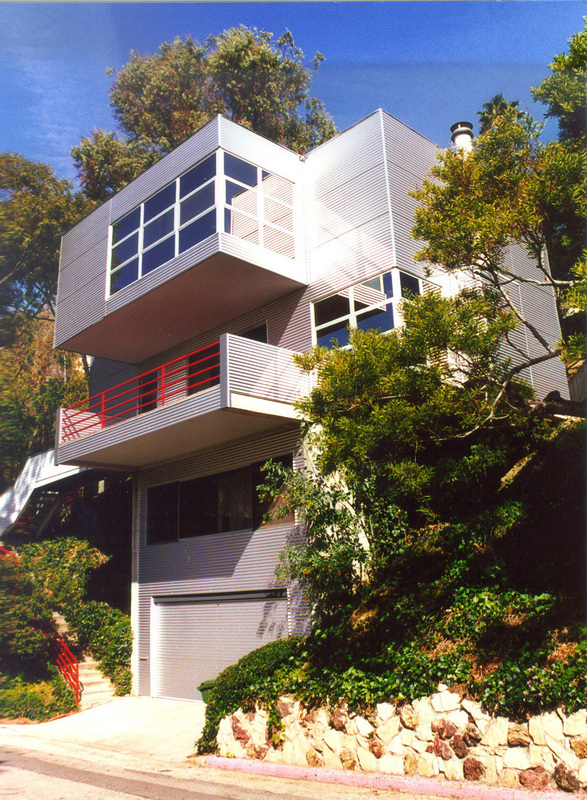 The house was one of the first passive solar houses in Los Angeles built in 1978. The dual exterior walls are covered in reflective aluminum thus creating a vented air space between the exterior and the insulated walls. The concrete mass is used as a heat sink for both heating in winter and cooling in summer.